One of my Aunts is a Cliff fan and she inspired me to create this image. 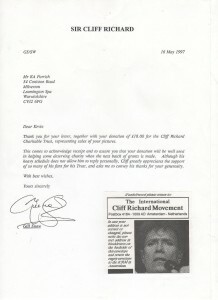 I used to listen to Cliff Richard and Shadows before Beatlemania. This image has been promoted through the International Cliff Richard Movement.